The question whether it makes sense for businesses to forget all about their web-presence and focus exclusively on reaching out and engaging their audience via a mobile app is getting asked increasingly. The rapidly growing mobile penetration, especially in a country like India where mobile penetration rate is much faster than that of desktop/ laptop computer penetration; the availability of cheaper smart phones; improved mobile internet connectivity all contribute to the perception that users may be using only their smart phones or tablets to access the Internet going forward. However, we feel that the news of the demise of the desktop and laptop use is premature and far from the truth. There maybe a few businesses for whom going app-only makes sense, but they may be few and far between. For others, going app-only may be a necessity rather than a choice. For the vast majority of businesses, it will make perfect sense to use their web presence to connect with and enage with their audience. a) Computer users are still a large number: this number may not be growing as fast, but a very high percentage of users still access the Internet and perform searches to find what they want through their computers. Why risk missing out on them? b) Just building a mobile app doesn’t guarantee adoption: It is not enough to build a mobile app; it needs to be marketed just as hard and smartly to ensure that enough people download the app and then start using it. The magnitude of this challenge is much harder than many people think. We recommend that a business should first start with a responsive web site so that it can cater to users who surf the Internet using both computer and mobile devices. 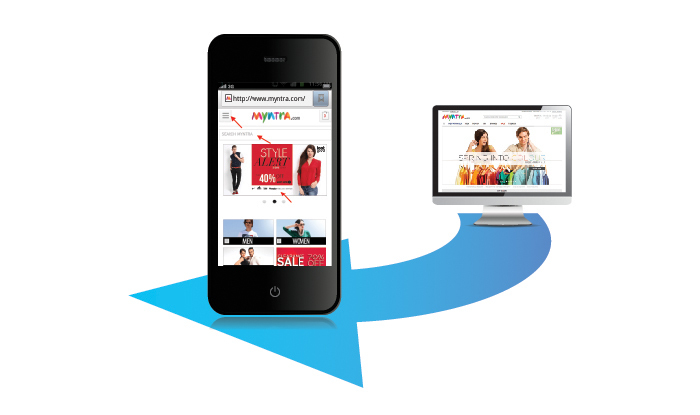 Subsequently, if it makes sense for the business, opt for a mobile app. In a nutshell, go mobile, but don’t go mobile-only. At least, not yet. WhatsApp Integration – Why website builders should consider the option?